Melbourne’s most daring Korean restaurant, Restaurant Shik, closed its doors without warning on Friday April 5. Just over a year in, the site on Melbourne’s Niagara Lane in the CBD has now been handed back to the landlord. Chef-owner Peter Jo, aka Kimchi Pete, opened his restaurant to glowing reviews for his hands-on cooking and personal, modern take on Korean food. 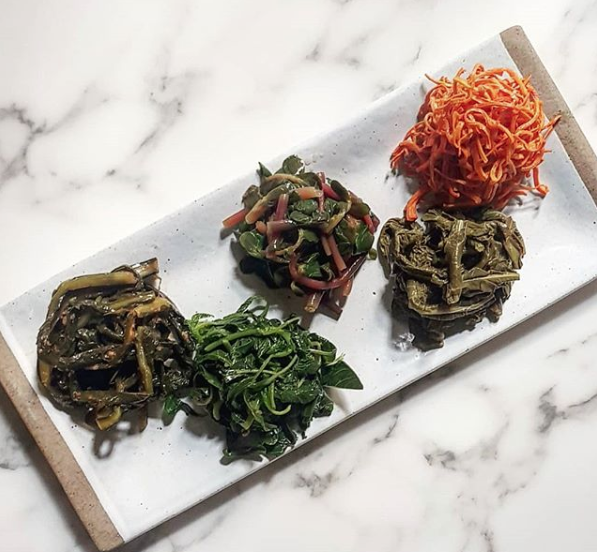 It was known for its Auatralian-produced-driven korean barbeque, cured and pickled seafoods, and playful focus on seasonal banchan, korean condiments, like amaranth kimchi or pickled persimmon. Coming from a career of successful pop-ups off the back of his role as founding sommelier at Morgan McGlone’s Belles Hot Chicken, the restaurant drew on his Korean heritage and his love for Australian produce, as well as local natural and experimental wines. On Instagram Jo said: "Restaurant Shik is now closed. I have been evicted and repossessed and it is unfortunate to bring you this news but this is only the beginning of the next chapter. Thank you for all the support to all guests, suppliers and friends. I will be working at repaying debts and rebuilding for the next venture. Shik will continue." In a second post he continued: "I have probably disappointed some people with how I handled a few things and will spend the next bit of time making amends and repaying debts. For me, this is just the beginning and really look forward to continuing this journey of mine with Shik. All in all I think I did a bloody good job. " No news of his next venture has been announced, but we wait with bated breath.